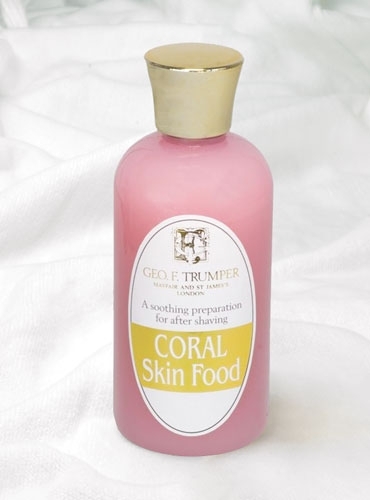 Coral Skin Food (sometimes packaged as After Shave Balm), a remarkable lotion which provides moisture after shaving and before applying a scent. 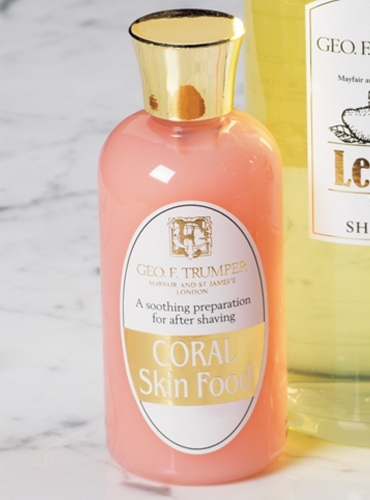 Skin food or Balm contains less alcohol than after shave and is therefore less drying. 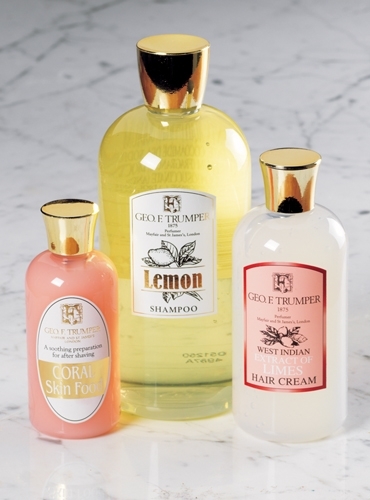 Available in 100ml travel bottle (CA415), and 500ml travel bottle (CA258).